Florida Democrats/BushRenzA screenshot of an anti-Trump ad airing in Florida over the weekend. Democrats are taking Father’s Day to remind Florida voters of some of Donald Trump’s more controversial statements. 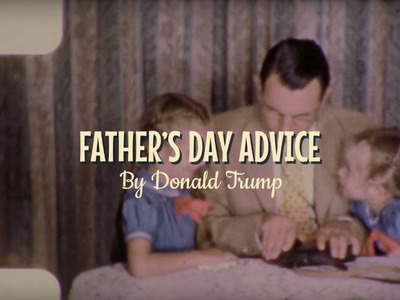 Four separate 30-second video ads released by the Florida Democratic party on Friday mocked Trump’s eyebrow-raising comments about women by offering “helpful” Father’s Day advice from Trump to women and children. 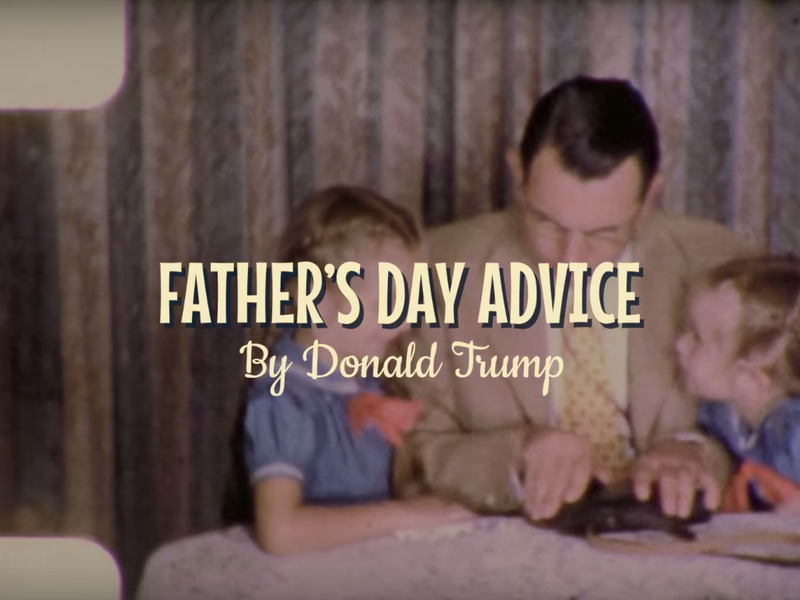 “In celebration of Father’s Day this year, here’s some wholesome father-daughter advice from our presumptive Republican nominee for president of the United States, Donald Trump,” a narrator on one ad said. “Tip number 2: Only date attractive people. As Donald says ‘It doesn’t matter what they write, as long as you’ve got a beautiful piece of a–,'” the narrator said, quoting Trump’s 1991 interview with Esquire. Another ad also hammered down on Trump’s past statements about dating. “Tip number three: be resilient. As Donald says, ‘You have to treat women like s—,'” the narrator said, quoting a Trump profile in New York. The four ads were set to debut online on Friday afternoon, and will air on television in Florida over the weekend. The Florida state Democratic party’s ads won’t be the only left-leaning presidential campaign ads that television audiences in the Sunshine State see this weekend. On Thursday, Clinton began airing three ads in eight key battleground states including Florida. While the Florida Democratic party’s ads are Trump-focused, Clinton’s ads only feature a smattering of Trump-bashing, and instead highlight her record on children’s healthcare and education issues. Despite his ability to dominate media coverage, Trump is currently making fundraising pit stops across the country to raise enough cash to compete on the airwaves with Clinton. The former secretary of state is expected to raise over a billion dollars, of which a significant portion will be dedicated to television advertising.